The SnuggleSafe Cool Pad works Instantly to cool your dog with no electricity or freezing required. Cools with no freezing or electricity required. Wouldn't it be great if there was a cooling pad which cooled instantly whenever your dog lay down on it? Well... guess what! You're looking at it! The SnuggleSafe Cool Pad automatically cools as if by magic when your dog lies on it. There is no freezing or electricity and no cords required at all. The non-toxic gel inside the pad is activated to cool by the pressure & heat of your dog's contact. 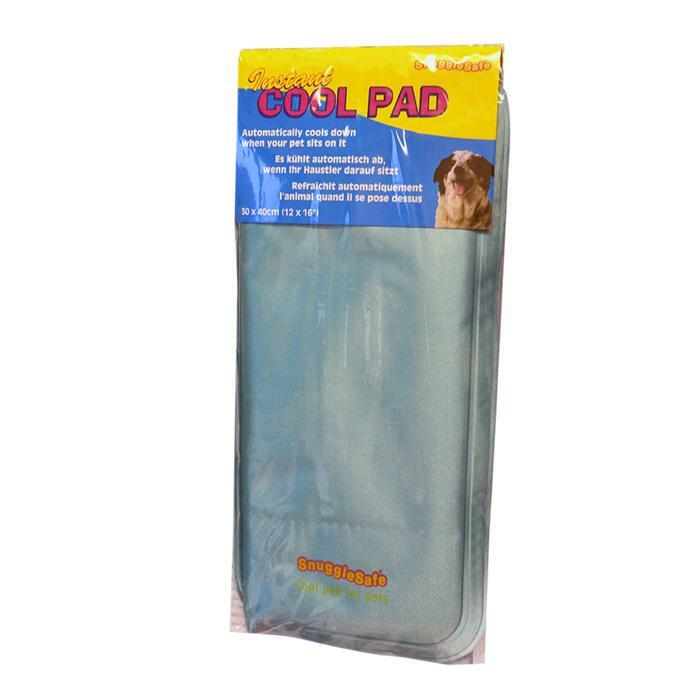 These pads are the perfect thing to keep your dog cool during long hot car journeys, bedding, out doors or any other hot spot.